Pinnacle Black Label Diamond Surface Coating is a ceramic coating that creates an extremely glossy, impermeable layer of protection on your vehicle’s paint, glass, and wheels. Formulated using the most concentrated blend of nano-glass ceramic particles available in a coating, Diamond Surface Coating shields your vehicle against UV rays, airborne contaminants, acid rain, road salt and other common pollutants that plague a daily driver. Spray and wipe application only takes minutes to apply and the protection lasts years! Black Label Diamond Surface Coating is the most advanced coating the world has ever seen. Diamond Surface Coating provides the best protection possible on multiple surfaces, including paint, glass, and wheels. Treated surfaces will be well protected against the harmful effects of nature that daily drivers are exposed to, while exhibiting a shine that can only be attributed to a product bearing the Pinnacle name. Hyper-concentrated formula means a single 8 ounce bottle will completely coat up to 25 vehicles! Use Diamond Surface Coating on all hard exterior surfaces, including paint, wheels, glass, and chrome! Diamond Surface Coating forms a hardened glass membrane that fills in the microscopic pits, pores, creating a perfectly smooth surface that dirt cannot adhere to. When used on painted surfaces, Diamond Surface Coating provides protection that lasts up to 3 years! As soon as you spray Diamond Surface Coating onto your vehicle’s paint, it begins to create a hardened glass membrane that is impenetrable to dirt and contaminants. The surface tension created by this hardened glass membrane is so immense that water beads up and rolls off as soon as it makes contact, taking dirt and grime with it. Your vehicle’s paint will exhibit an extremely glassy, liquid shine. What’s more, Diamond Surface Coating was formulated so it can be topped with your favorite Pinnacle paste wax. Diamond Surface Coating is resistant to extreme temperatures, making it the perfect wheel coating for brake-dust laden sports cars. Use Diamond Surface Coating on the face of your wheels, between the spokes, and in the wheel barrel to protect against the harmful affects of ferrous (iron containing) brake-dust particles. Treated wheels will only require soap and water to clean. Application on this surface lasts up to two years. Use Diamond Surface Coating on exterior glass surfaces to create a super slick surface that rain, sleet, and snow cannot adhere to. Since the formula goes on crystal clear, you don’t have to worry about the streaks, smear, or haze that is normally associated with conventional oil-based glass sealants. The surface tension created by Diamond Surface Coating causes water to bead up and roll off at speeds in excess of 30 mph, rendering your windshield wipers virtually unnecessary. Treated surfaces can be easily cleaned using water alone. Application on this surface lasts up to 18 months..
Black Label Surface Coating replaces the need for 3 separate surface-specific coatings. Its unique formula was designed to bond to painted, metal, fiberglass, and silica-based surfaces. The hyper-concentrated formula will yield dozens of applications on each respective surface, making it an excellent value. As with other surface care products that bear the Pinnacle name, Diamond Surface Coating creates an extremely glossy shine that must be seen to believe. Black Label Diamond Surface Coating should only be applied to vehicles that have first been polished with Black Label Surface Cleansing Polish. This step is crucial as it removes contaminants, oils, and fillers that would otherwise prevent the coating from bonding. Once that is completed, application of Diamond Surface Coating is as simple as spraying on and evenly distributing with a foam applicator. Wait 24 hours before topping with your favorite carnauba paste wax. Use Black Label Diamond Coating Shampoo to rejuvenate the shine and water beading. Place your hand in a plastic sandwich baggy and feel the surface. If it feels rough or gritty, use Pinnacle Ultra Poly Clay. Polish the surface using Black Label Surface Cleansing Polish. 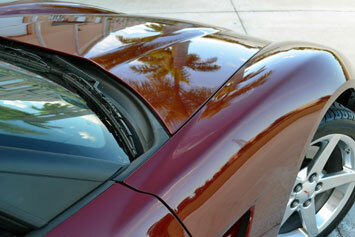 This step is crucial as it removes polishing oils that would otherwise prevent the coating from properly bonding. Working one panel at a time, spray Diamond Surface Coating directly onto the surface and evenly distribute using a Lake Country Coating Applicator. If high spots occur, lightly buff with a clean, soft, lint-free microfiber towel. I spend a lot of time taking care of our 3 cars. This means time to clay the surface to remove embedded dirt, buff the surface to obtain a clear, scratch free shine, wax and glaze the surface for protection. I heard of this product from several members of our muscle car club and decided to try it. I still had to clay and buff the car in preparation for the application of this product. To my surprise, this product was easy to apply and provided a great finish. It has been a month since I did each car and they still look great., even after rain and dirt. I am very pleased with the product and would recommend it to anyone. This product covered a SUV and pickup so it covers well. Easy to apply and wipes with little effort. My gripe is the spray head. The first one was defective and very promptly replaced (kudos to AG). The replacement broke after less than 10 pumps so had to improvise. Love the product and hate the pump. Wonâ€™t recommend until pump is redesigned. Black Label Diamond Surface Coating. This is a good product. 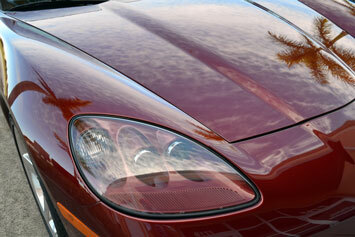 It produces an excellent glossy shine, and a very smooth finish on the paint. However, I have questions about the product. 1. The Web site claims the product lasts for 3 years. I am not sure this is true. When I call your 800 # I get different responses from your Staff. 2. 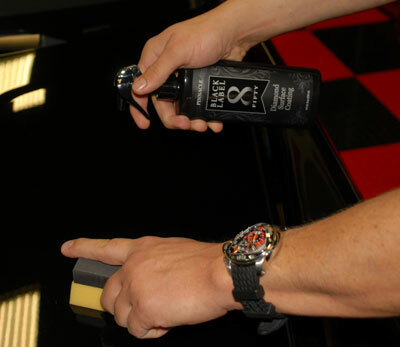 The product recommends use of the Polish before applying the Surface Coating. But the Coating Booster does not require the use of the Polish prior to application. If the products are essential the same, I wonder why the Polish is required before the application of the Surface Coating. 3. The Surface Coating application is not as easy as explained in the videos. On black paint, the Coating can appear splotchy and requires days to fade away. Not sure why. All that said, when the Car is completed it does look excellent and the paint looks glassy. ProsGreat shine. Appears to last (not sure how long). The Booster Product is helpful between Surface Coatings. ConsOne of the Surface Coating Bottles leaked in the shipping box. I did not call to complain. More difficult to use than the videos suggest. Can appear splotchy on the paint. Not cLear why you need to use the Polish before the Surface Coating, but not before the Booster ( I asssume they are basically the same products). Pinnacle missed the target on this product. Donâ€™t get this review confused with their waxes, which Iâ€™m a big fan of. I applied to my windscreen only (thank goodness) using their cleaner first and followed the instructions to the T. I also kept the car dry in my garage for two days. The forth or fifth day while on a business trip, I got into the dreaded Florida love bugs. That is bad enough, but after washing them off, the diamond surface coating prevented a clean windshield. The product leaves (for a lack of better description) â€œghost marksâ€ where bugs impact the windscreen. 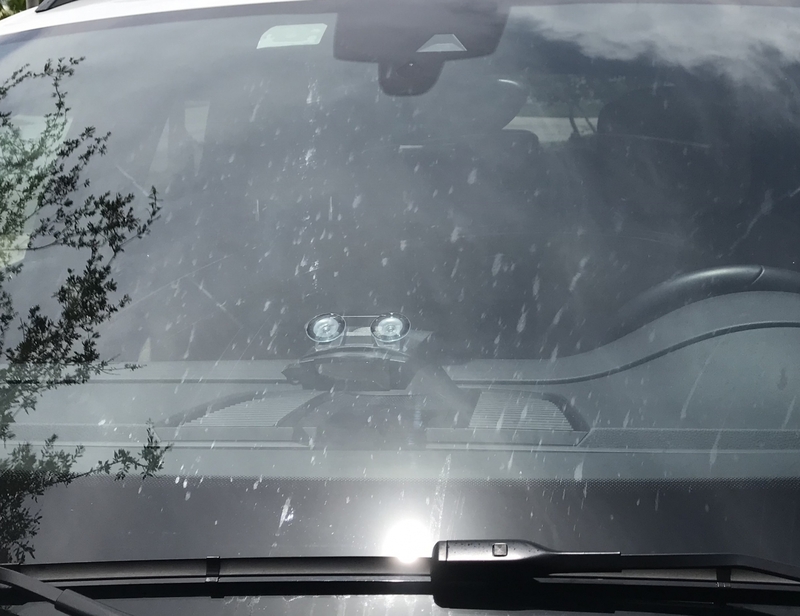 The body of the bugs get washed off but the bug juice somehow remains, which is very annoying to view through the windshield. The image attached is after my first attempt at cleaning off the love bugs. It took a few days or more before agressive washing mitigated the problem. Life of the product is grossly overstated. In less than after a month the product failed to work as advertised. This could be because I drive on the highway often and this time period was also during our rainy season in Florida, but I expected the product to last for months....not weeks. Ability to repel rain also falls way short of Rainex. This is a costly product that I am not pleased with.